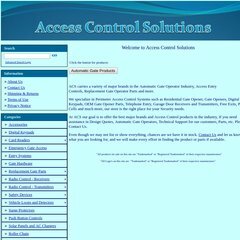 Topics: Automatic Gate Operators, Accessories, and Digital Keypads. Its IP Number is 72.249.173.105. ns.advwebsys.com, and ns2.advwebsys.com are its DNS Nameservers. Colo4dallas Lp (Texas, Dallas) is the location of the Apache/2 server. PING www. (72.249.173.105) 56(84) bytes of data.